Whether your looking for a voice monitor for your recently re-grouped band, your newly opened karaoke bar, or to communicate on a new level with your neighbor, the RM10 has you covered. With its 50 to 400-Watt power rating, your sure to be heard whatever the situation. 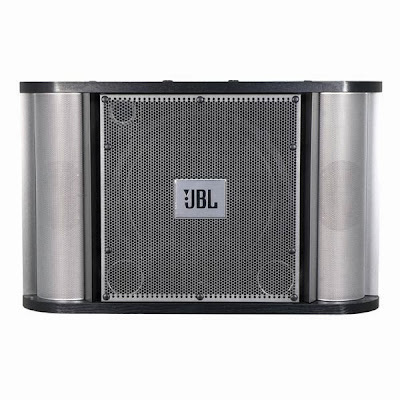 A loudspeaker system is nothing more than the sum of its components and JBL engineers employ only cutting-edge technologies. They certainly didn't hold back with the RM10 vocal monitor. Featuring a low diffraction IsoPower baffle, dual FreeFlow flared ports, and Straight-Line Signal Path, rest assured you'll have good, clear sound. Plus both the dual 3-inch tweeters and the 10-inch woofer are backed by high-temperature voice coils. And the tweeters have the added advantage of protection circuitry that keeps the tweeter intact under adverse conditions—such as when your aunt Martha belts out "Nothing Compares 2 U." The RM10 monitor is equipped with left and right high-frequency trim controls that control the tweeters in the left and right side panels of each RM10 speaker. The trim controls enable you to compensate for various room conditions and vocal styles: adjust the trim controls so that the vocals are loud enough to be intelligible without being so loud as to be harsh or distorted.